"Amandujr" is an ancient Nubian legend about the Nile. It tells how people drowned beneath the currents of the world’s greatest river never die and how their souls continue to live deep in the River bed. Nubian people felt a great affinity with nature, living their lives in accordance with the seasons and continual ebb and flow of the Nile - the earliest Nubian songs were inspired by their farming origins. Nubian hand drums, known as "Duff" (fashioned from goat skins and wood) were thought to be a key link between their people and their environment, with the ability to produce the sounds of Fire, Water and Air through complex rhythms. In addition to songs for cultivation and harvesting the Nubian people sang epic poetry of Love and religion, recognising both Islam and Christianity. Nubians regarded themselves as singers with songs for every occasion from birthing songs with accompanying rituals in which a new born baby would have its face bathed in the Nile with food thrown into the river as an offering to the souls of spirits in the Nile, through to tender songs known as "Azaa", performed to mark the death of loved ones. Dance also played a central role in their culture with a dance called "Ferri" representing the movement of the bulti fish swimming through the waves. The Nubian way of life remained relatively constant until the modern world began to encroach on the Nubian people’s environment through the first stages of the construction of the Aswan dam in 1902. Traditional lands and sacred areas were flooded during 1912 and 1933, leading to the displacement of the Nubians who began to migrate to other areas in Egypt, with an especially large concentration of Nubian people taking residence in Cairo. The Nubian homelands were lost forever in 1964 during the controversial construction of the Aswan High Dam during the Nasser period. While some migrants made new settlements elsewhere in Aswan, known as the “Valley of Hell" the majority of the Nubian people sought refuge across Egypt in this final migration. In Cairo Mr El Said Gamal established the first incarnation of the NubaNour group in 1962. The ensemble was notable for featuring the finest Nubian singers and composers of the age including "Abdullah Batt", "Abou Mirghani", "Saleh Abbas". 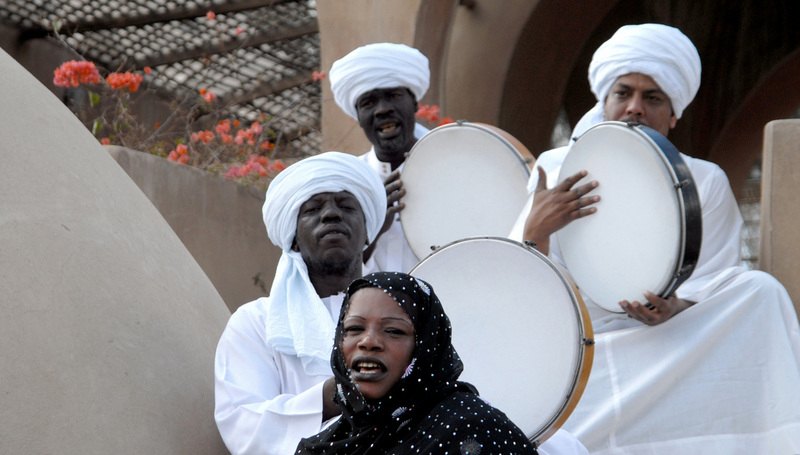 Generations later the band still performs traditional Nubian music deep in the Cairo metropolis. 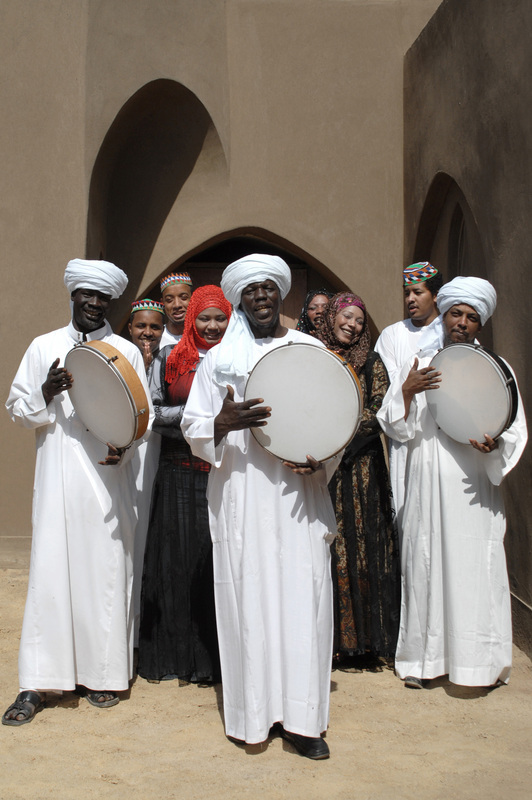 Their repertoire has expanded to include songs of the deep sorrows felt by the Nubians from the loss of their traditional lands, and nostalgia for their way of life. However, alongside this meditation on events of the 20th century, NubaNour continue to perform poetic love and praise songs with their unique rhythms and cultural heritage.